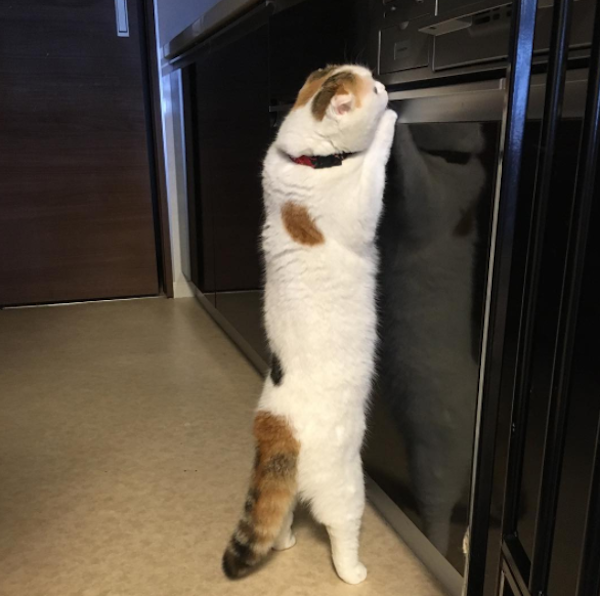 This 2-year-old cat from Japan doubles over, opens wide and stretches vertically for snacks. 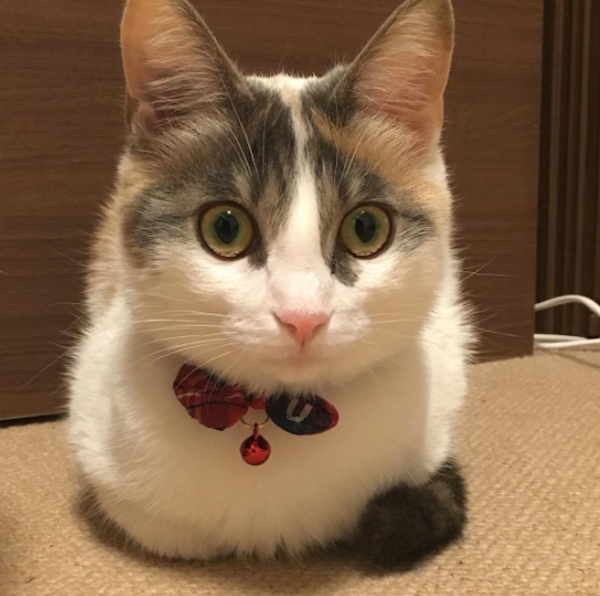 This week’s Social Cat of the Week is another feline who hails from Japan. 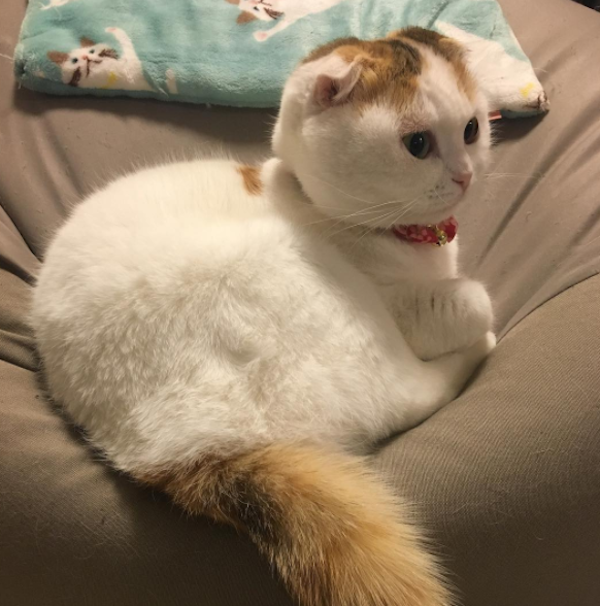 He’s called Momo. 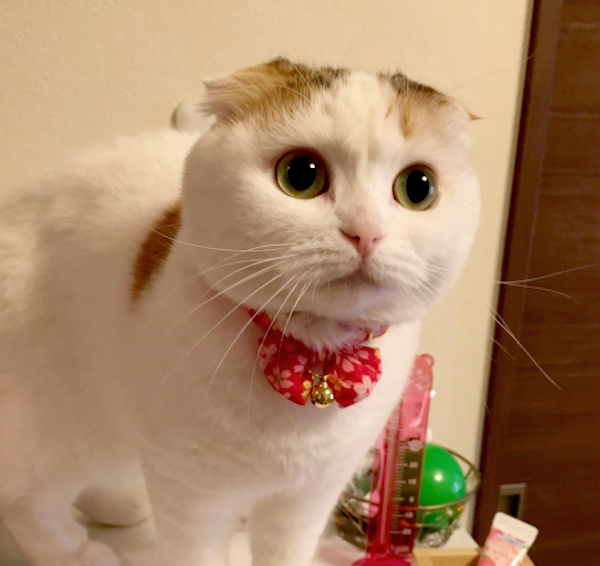 I hate to disappoint you, but this Scottish Fold was not given his name in honor of the tasty Tibetan dumplings sharing the same moniker. 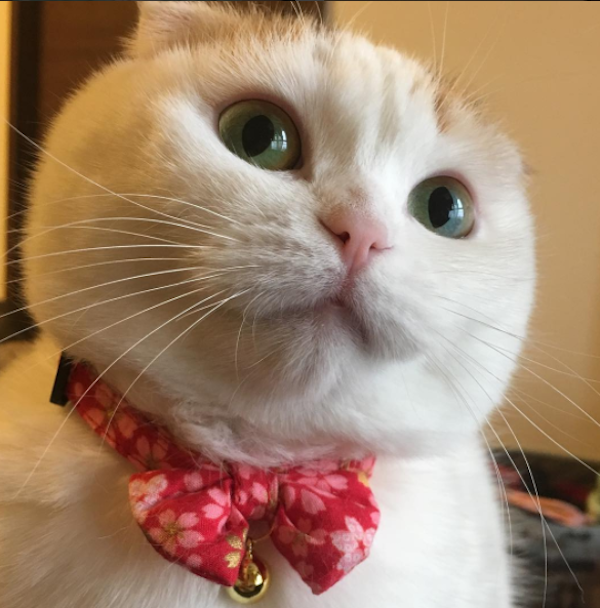 Nevertheless, there’s a lot of appealing stuff going on with this kitty — let’s dig into Momo’s story. 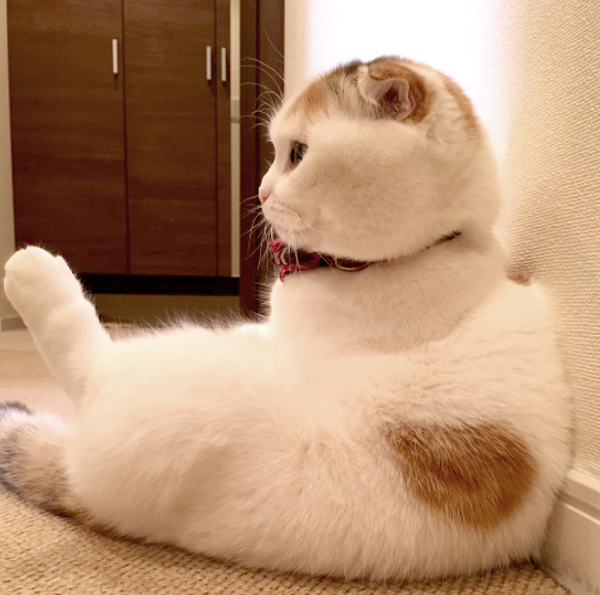 Momo has become such a burgeoning Instagram star partly because he has a habit of sitting in strange and beguiling poses. Here he’s sort of slumped over and tucked up — apparently in an homage to the cartoon character Doraemon. 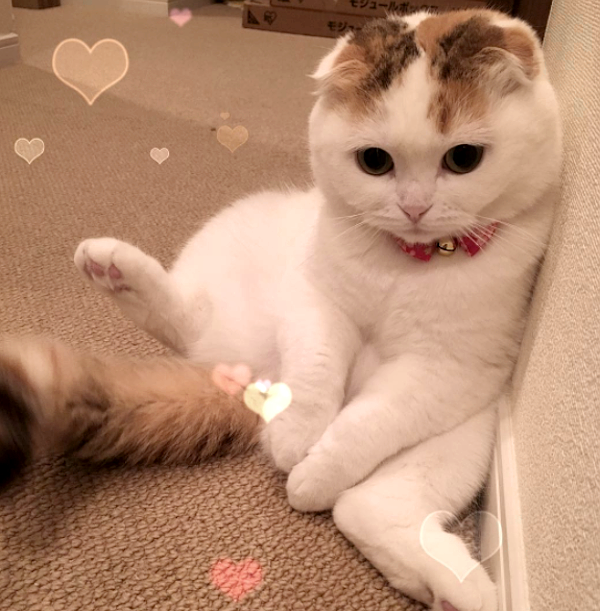 Despite the addition of some cutesy hearts layered onto this photo, this pose is from Momo’s Not Quite Totally Safe For Work collection. He’s a proud cat, let’s give him that. 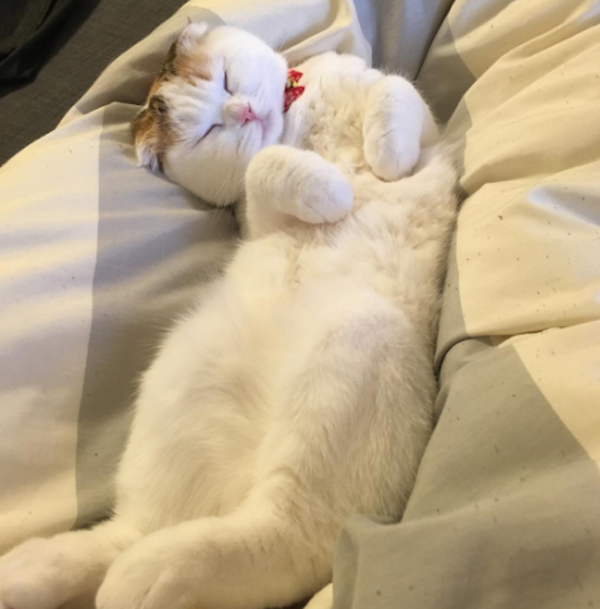 Momo recently celebrated his second birthday on Feb. 24. By comparison, his sidekick Yuzu (who we’ll meet shortly) is a spritely eight months old. 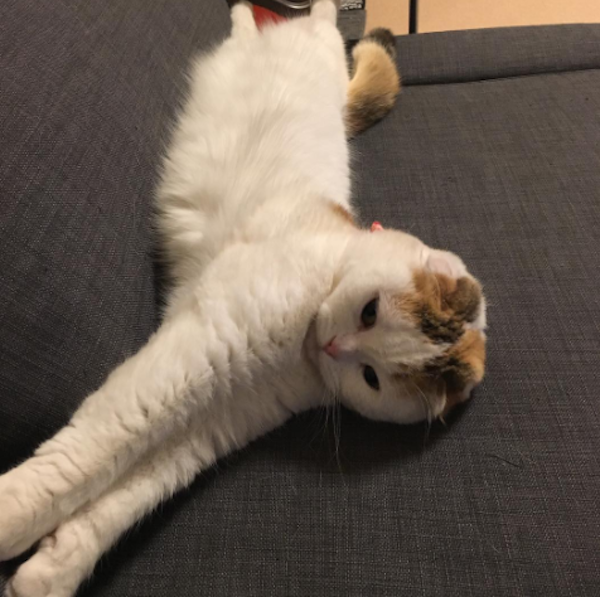 On the Everything Is Peach blog (which I think is so titled because of Momo’s nickname, Peach), our feline hero’s owner recounts how he’s the first cat to inhabit the household. Before Momo showed up and wooed his humans, it was strictly dogs in that house. Smart switch. Here’s Yuzu, as promised. He’s been captured in what I’m led to believe is a rare moment of calm and serenity. Excellent cat loaf pose, too. Momo loves to let his curiosity lead him into shenanigans. In the case of his eternal hunt for snacks, his human eventually had to put a child lock on the stove — presumably to prevent the mischievous kitty from rustling up a quick roasted chicken with some farmers market root vegetables on a lazy Sunday afternoon. In this photo, Momo is said to be relaxing after some of his human friends paid him a cheery little visit. It was a social engagement that left our plucky champ all tuckered out — although he did leave the offer of a repeat visit open. Apparently someone just got news that the treat supply ran out. Stay strong, Momo, stay strong. Check out more of Momo over at his Instagram page.